O'Hare Intl. - San Antonio Intl. Hartsfield-Jackson Atlanta Intl. - San Antonio Intl. John F. Kennedy Intl. - San Antonio Intl. Los Angeles - Ontario Intl. - San Antonio Intl. Sometimes, the best gift you can give to someone—or to yourself, for that matter—is not a material object that may end up forgotten and covered in a dusty patina. Rather, the ideal present you can bestow is an experience—one full of memorable moments, regal retrospections, and remarkable recollections. To do—to visit, touch, explore, and witness—can be far more rewarding than simply holding a trinket it one’s hand. 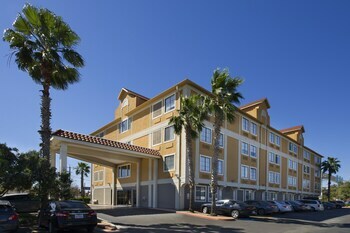 When you are looking for a new experience to give, consider a stay in San Antonio in the heart of the Lone Star state. The people of San Antonio, TX know how to round up excitement and fun. Everything in this Texas city is authentic, from the cowboys to the Tex-Mex cuisine—and the locals are proud to share their rich heritage and culture with visitors. 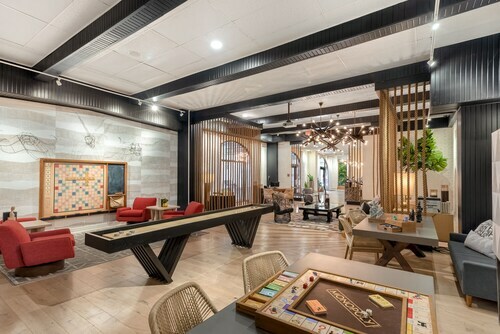 A mix of kid-friendly attractions, diverse dining options, and vibrant nightlife makes San Antonio vacations popular with families and couples alike. While you're finding out how the West was won, this Western town will win you over. 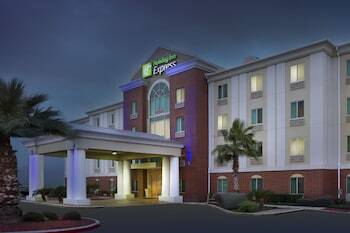 And, when you bundle your San Antonio hotel and airfare through Travelocity, you’ll enjoy a Texas-sized savings. 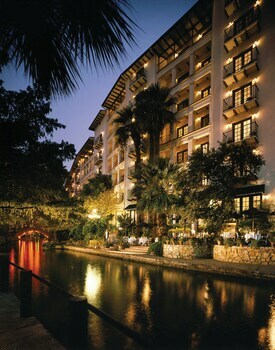 Hyatt Regency San Antonio Riverwalk – So many amazing features about this unique property jump out at you. The atrium lobby brings the outdoors in with its 16-story glass façade. Step out the backdoor for a stroll along the Riverwalk, or head out front to explore the Alamo across the street. Have some barbecue at the Q Kitchen, sip a pint at the Q Kitchen Bar, and sample inventive cocktails at the Worm Tequila and Mezcal Bar—all on-site. 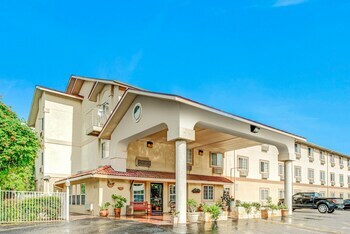 Omni La Mansión del Rio – With equal parts Spanish colonial architecture and European furnishings, La Mansión del Rio is a tranquil oasis in an otherwise dynamic tourist district. 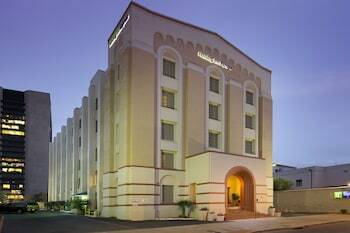 Pamper yourself in the four-diamond charm and luxury of this urban hacienda. 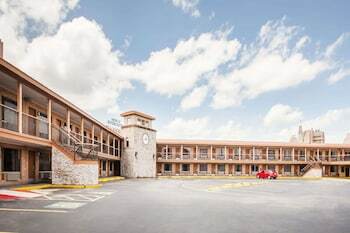 After a day exploring the Alamo, El Mercado, and La Villita District, unwind with a cocktail by the outdoor pool, then find sweet slumber on your pillow-top mattress in your well-appointed guestroom. 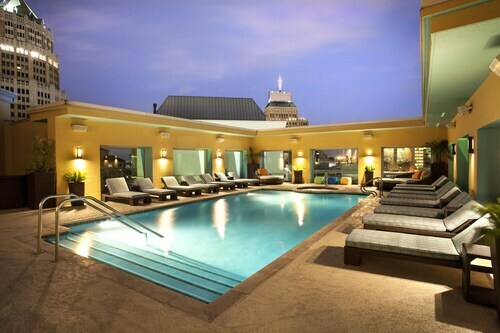 Hotel Valencia Riverwalk – Whether it is the in-room spa services, open-air courtyard, or virgin marble bathrooms, your stay at the Valencia will surround you in opulence. 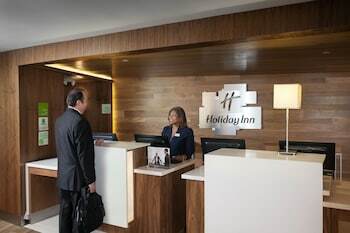 Business travelers will like the 7,000 square feet of meeting space, and couples will enjoy the soft, waffle-weave bathrobes and LATHER apothecary bath amenities. All guests will relish a delicious meal from the eclectic Citrus, or an inventive cocktail from Vbar. 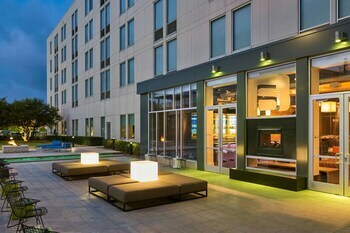 Grand Hyatt San Antonio – While the contemporary architecture stands in contrast to its historic surroundings, the Grand Hyatt still embraces its yesteryear neighbors. 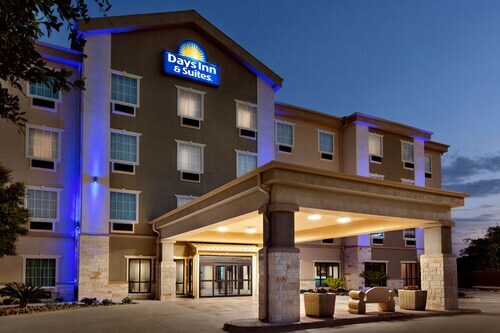 Adjacent to the Henry B. Gonzalez Convention Center, and a short walk from the Alamodome and Tower of the Americas, the Grant Hyatt is also near iconic San Antonio attractions like the Alamo and Riverwalk. Remember the Alamo with a tour of the Mission San Antonio de Valero and neighboring missions along San Antonio River. Continue your exploration of Texas history by wandering the King William Historic District. 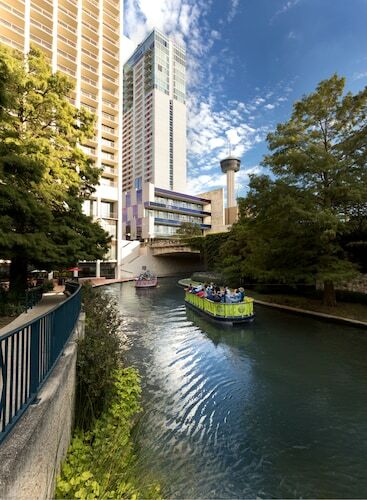 Wrap up your trek through time with a romantic carriage ride that takes you around downtown San Antonio, or a stroll along the city's famous scenic, cypress-lined River Walk. 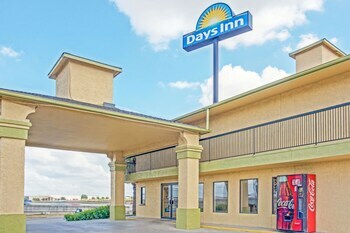 Complete your San Antonio getaway with a thrilling day at one of the area's theme parks, such as SeaWorld San Antonio, Six Flags Fiesta Texas, or Schlitterbahn Waterpark Resort. Rental cars are highly encouraged if you prefer to travel quickly between popular destinations. San Antonio is host to a wide variety of festivals and cultural events year-round. Visit the San Antonio Stock Show & Rodeo in February to see professional cowboys at work during this two-week festival and livestock exposition. Celebrate Texas independence with Fiesta San Antonio's 10-day fete in April. In November, Wurstfest brings German culture and entertainment to the city. San Antonio also celebrates Mexican cultural traditions like Cinco de Mayo and El Dia de losMuertos in the spring and fall. 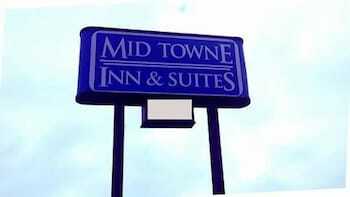 Make your reservations for popular hotels for your vacation in San Antonio in advance to ensure room availability around festival dates. 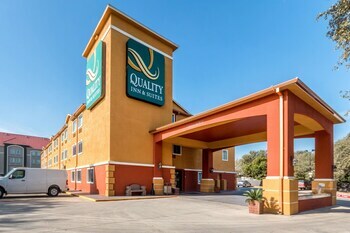 Lasso the best deal for your San Antonio vacation package when you search over 400 airlines and more than 510,000 hotels worldwide on Travelocity. The Alamo is the only thing you’ll remember more than how much money you save when you book one of Travelocity’s San Antonio vacation deals. 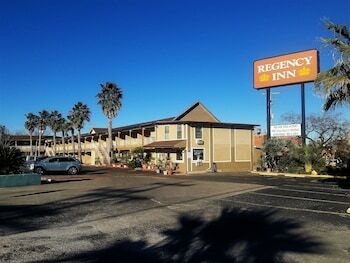 Situated in San Antonio, this hotel is within 3 mi (5 km) of Pearl District, Alamo, and River Walk. 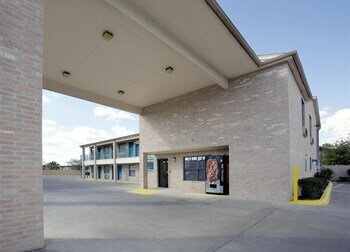 Fort Sam Houston and San Antonio Majestic Theater are also within 3 mi (5 km). 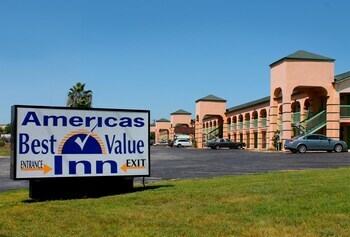 This San Antonio hotel is within one-half mile of Casa Navarro State Historic Park, the Cathedral of San Fernando, Market Square, and the Spanish Governor's Palace. 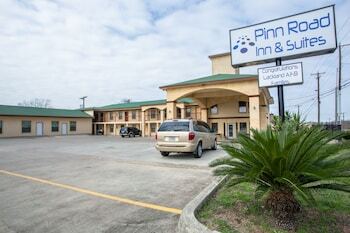 Located on the Riverwalk, this 16-story hotel is 1 block away from the Alamo and Rivercenter Mall, 2 blocks from the convention center, and 10 blocks from the Market Square and Northstar Mall.